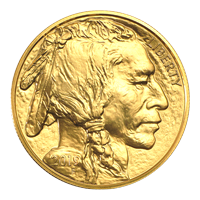 You’ll enjoy the web’s lowest rate, when you purchase your 1 oz 2019 Buffalo gold coin from our online store today. This artful design was first seen in 1913 and is a well recognized favorite amongst investors; this popular coin was also the first release from the US Mint to contain .9999 fine gold. The reverse design is what gives this coin is name, being a majestic American buffalo, adapted from the original rendering as appeared on the classic Buffalo nickel, which was thought to have been based on an early 20th century Central Park Zoo inhabitant of the same breed, named Black Diamond. Also on the reverse, the American legend and mottos, along with details of denominational value, purity, metal content and weight. The coin’s obverse features James Earle Fraser’s classic and exquisite rendering of a native American chieftain in profile. 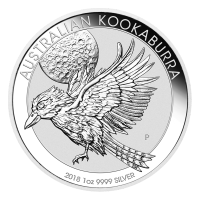 The only text visible on the obverse is the word, Liberty and the coin’s year of issue, 2019. Both the reverse and obverse imagery and field texturing of this showstopper has been rendered rough and sculptural, giving the coin an antique look and feel. 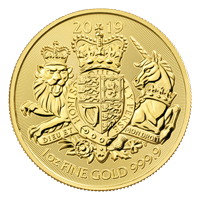 Own a piece of American minting history and diversify your portfolio with a 1 oz 2019 Buffalo gold coin today. Vorderseite Das Bild von dem Büffel Nickel 1913 mit einem Indianer darauf und die Worte "Liberty 2019"
Das Bild von dem Büffel Nickel 1913 mit einem Indianer darauf und die Worte "Liberty 2019"
1 oz Goldmünze Büffel 2019 You’ll enjoy the web’s lowest rate, when you purchase your 1 oz 2019 Buffalo gold coin from our online store today. This artful design was first seen in 1913 and is a well recognized favorite amongst investors; this popular coin was also the first release from the US Mint to contain .9999 fine gold. The reverse design is what gives this coin is name, being a majestic American buffalo, adapted from the original rendering as appeared on the classic Buffalo nickel, which was thought to have been based on an early 20th century Central Park Zoo inhabitant of the same breed, named Black Diamond. Also on the reverse, the American legend and mottos, along with details of denominational value, purity, metal content and weight. The coin’s obverse features James Earle Fraser’s classic and exquisite rendering of a native American chieftain in profile. 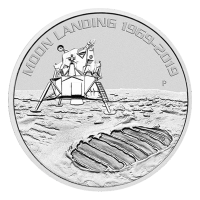 The only text visible on the obverse is the word, Liberty and the coin’s year of issue, 2019. Both the reverse and obverse imagery and field texturing of this showstopper has been rendered rough and sculptural, giving the coin an antique look and feel. Own a piece of American minting history and diversify your portfolio with a 1 oz 2019 Buffalo gold coin today.